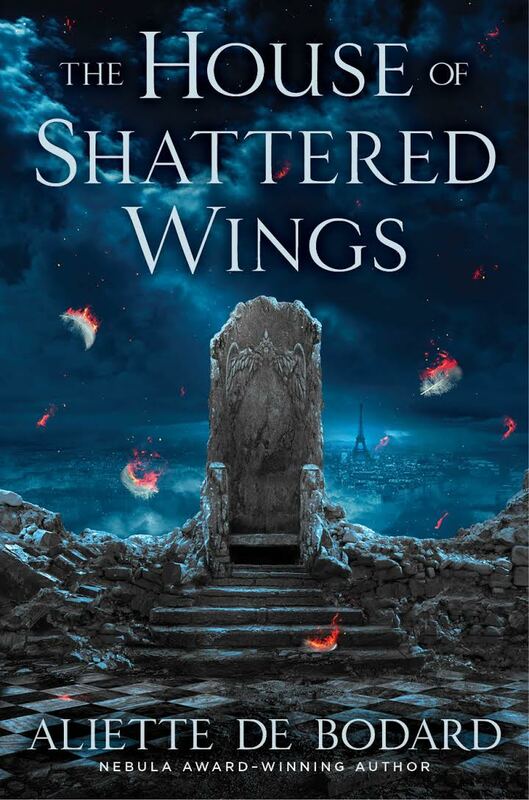 Today was the cover reveal day for the US edition of Aliette de Bodard’s upcoming novel, House of Shattered Wings. I remember Aliette talking about this novel before it was the novel and I remember thinking–that is the novel you have to write. It’s wonderfully written, evocative and deep and the concept is mindblowing and original. As Aliette writes on her blog: A book about devastated Paris, fallen angels and the ruins of a once great House. “In the late Twentieth Century, the streets of Paris are lined with haunted ruins. The Great Magicians’ War left a trail of devastation in its wake. The Grand Magasins have been reduced to piles of debris, Notre-Dame is a burnt-out shell, and the Seine has turned black with ashes and rubble and the remnants of the spells that tore the city apart. But those that survived still retain their irrepressible appetite for novelty and distraction, and The Great Houses still vie for dominion over France’s once grand capital. Jump to Aliette’s blog for more info on pre-orders and such.